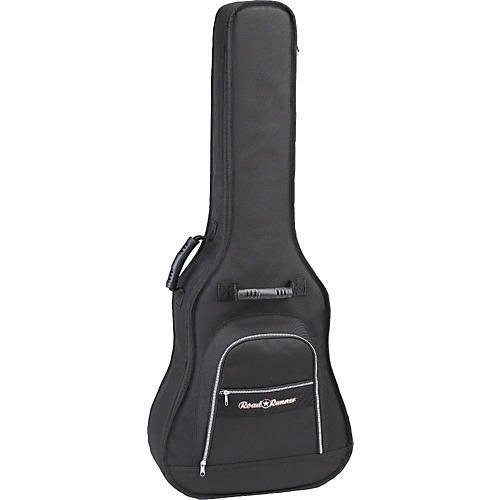 The Road Runner Express Acoustic Guitar Gig Bag keeps your dreadnought safe from bumps and scratches. The gig bag is equipped with 2 carrying handles, a zippered external pocket, and shoulder straps. Crafted from padded 600 denier nylon.